1935-06-30 annual Report lists Branches: Eastwood & Epping Receiving Office. 1961 slide photo by Bill Morelli. 1975 Listed in Annual Report. 1986 photos by Alex Steel. 2007 January photos of premises rebuilt by CBC, now NAB by John Beer. Somewhere in block of shops 2-14 Bridge Street was CBC in 1959 where Don Gould joined CBC Epping in 1959 when WC was out the back and store room was up steps above strongroom. CBC moved from about 10 Bridge St to 16 Bridge St in non air conditioned office corner of Rawson St on ground floor rear of office block which appears to have been rebuilt by 2006. 1. NBA Beecroft Rd unified with CBC Bridge Rd & Rawson St to Rawson Street opposite Coles. The site where NBA was on Beecroft Road now a bakery shop. 2. Large white building is on site where CBC was located in leased area in a large building Cnr Bridge Rd & Rawson St Epping where the roundabout is. CBC Bridge Rd & Rawson Sts Epping and NBA Beecroft Rd opposite station unified and were located Rawson St Epping opposite Coles Epping. Photos & summary 2006 by John Beer. 3. 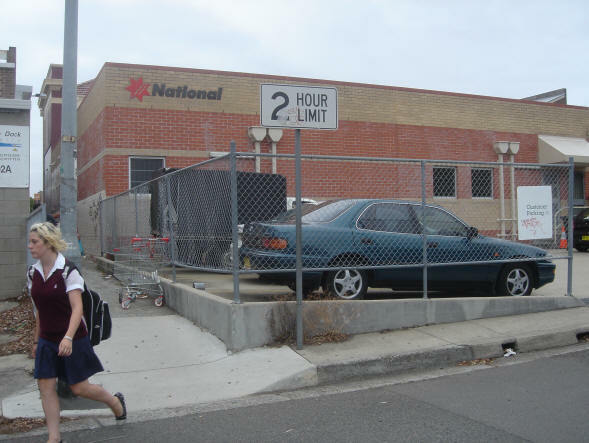 What became NAB Epping was the white Chemist Shop opposite Coles Epping Rawson St.
4. NAB Epping was moved from the white building now Chemist shop opposite Coles Epping to NAB Cnr Pennant Hills Rd & Carlingford Rd Carlingford. NAB also moved ex NBA North Rocks to Carlingford about the same time. Fairfield 1975 Listed in Annual Report. 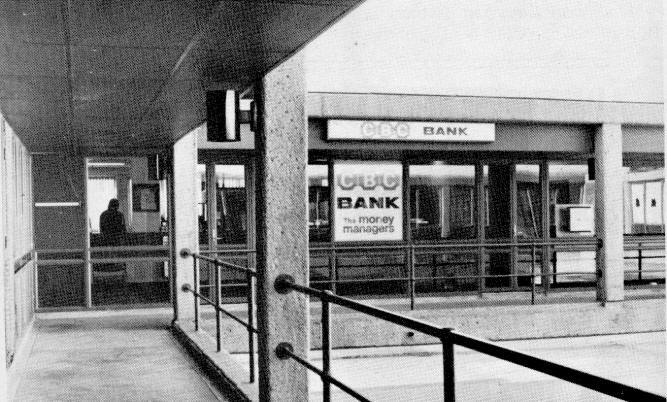 The Bank's Management Training Centre. 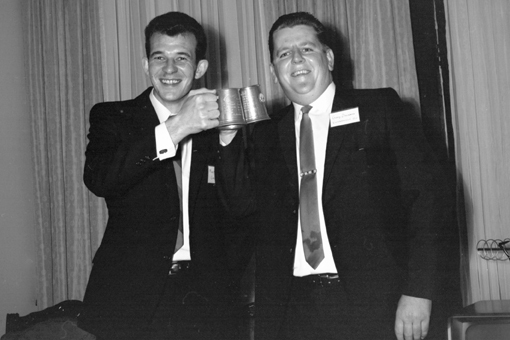 1966 Established 7th March (from Current Accounts January 1977). 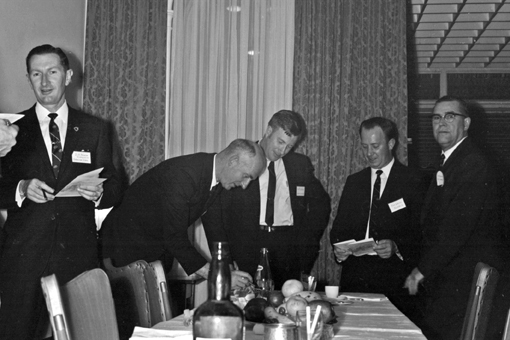 -6 Left to right: Doug Newton, (I think) Jim Sharpe, Bob Hargreave, Ken Walters and again my memory fails and I can't read the name tag. 1980s photo of Managers Course from Ross Clarke. 2007 October Wikimedia photo without ivy. 2009 David Jobson says: "I remember being the "flag man" one day, that bit of culture initiated by Cyril (the squirrel) Coxon and when we had to raise and lower the flag for the day. I missed it one sunset - a terrible sin - and the flag flew all night, as we were out on the town at Kings Cross. 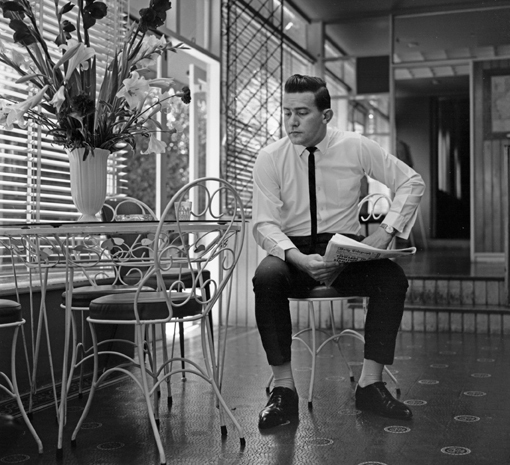 Next morning I was singled out and had to stand at breakfast while Col.Coxon had a piece of me. All very embarassing, as it should've been! It must have had an impact because when I was appointed manager at Corowa a few years later I had the flagpole re-installed on the branch building and used to fly the flag every day! God save the Queen." 2010 March photo by Kevin Greenaway who says: "Fernleigh Castle - I tried to get inside to show my wife but the lady wouldn't let us. Sorry to see the creeper gone." To obtain a 6mb .pdf version of this brochure click here. FERNEIGH CASTLE, was the CBC Banks' Training Centre, purchased by the Bank in 1966. It still exists today at 5 Fernleigh Gardens, Rose Bay. It was sold after the merger. It's history is an interesting read with Dame Nellie Melba being one of its owners. 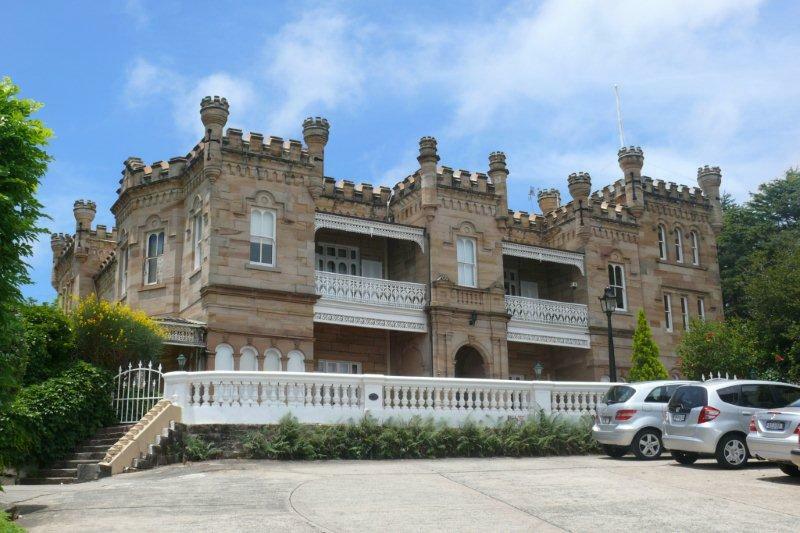 Fernleigh Castle, like the bank it served, has a long tradition and we must go back to the year 1831 to discover the origin of this magnificent castle and its surroundings. It all started on March 8 1831, when Samuel Breakwell of the City of Cork in Ireland was granted 60 acres of land at Rose Bay, which he promptly sold for 450 Pounds.The land was so remote from settlement, however, it was not until 1874 that the then owner, Charles Warman Roberts, built himself a small stone cottage which he named "The Ferns." C. W. Roberts was a member of the family who established and conducted the famous Roberts Hotel in Market St. Sydney, until it closed. 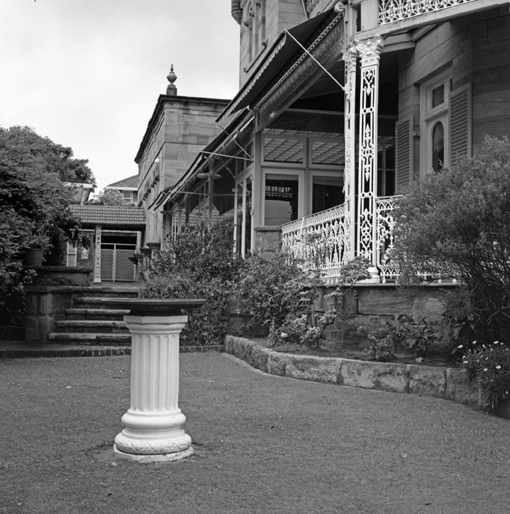 In 1881 the property, then known as Fernleigh, was sold to Frank Bennett, proprietor of the Sydney newspaper "The Evening News," for 4,600 Pounds. 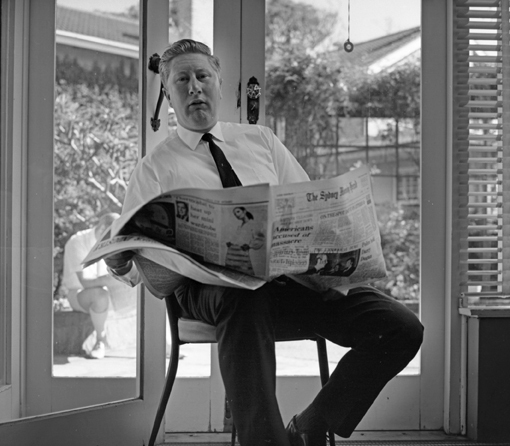 Incidentally, for some years the famous Banjo Paterson was the editor of "The Evening News." 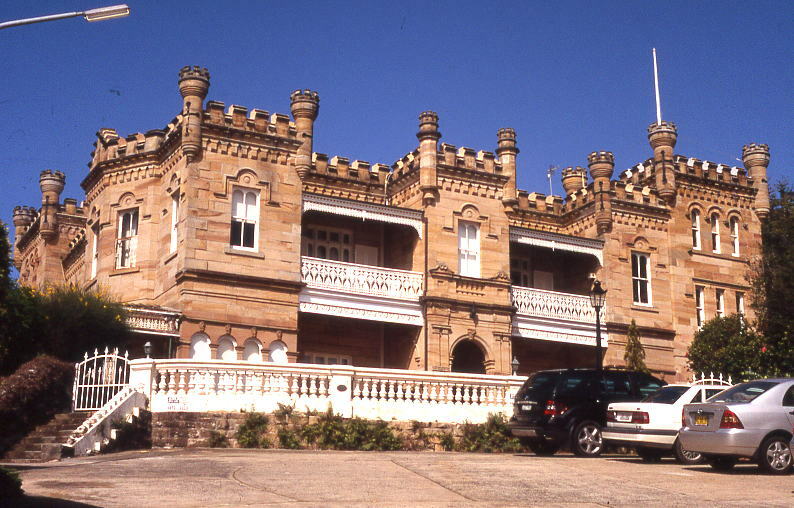 Bennett is known to have spent heavily to have Fernleigh enlarged and remodelled into its present form a replica of a Scottish castle. The work took eleven years and was completed in 1892. The original stone cottage, which had been extensively enlarged, was not demolished. 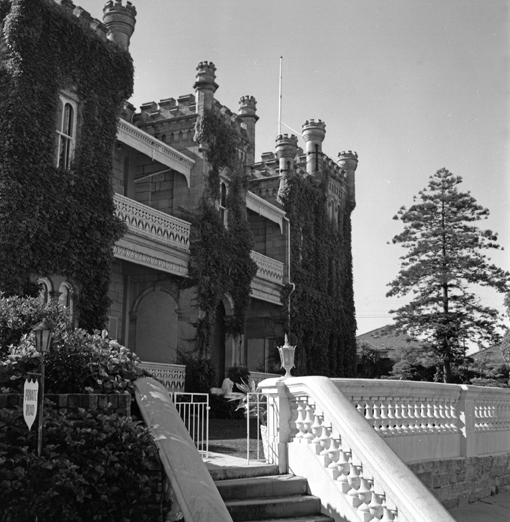 It was incorporated in the castle and forms the present lounge room, dining room and principals' office. The original hardwood flooring in the lounge and dining rooms had been dressed with an adze ( a specialised hand tool for woodworking). It was still in perfect condition when it was carpeted a few years ago, although sanding it smooth was quite a task. 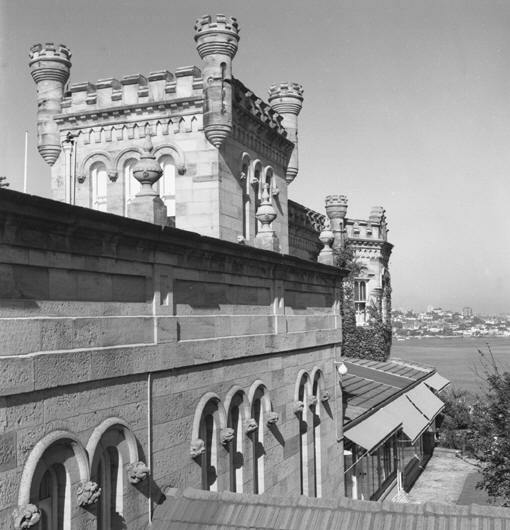 In April, 1951, the property was sold to a syndicate which subdivided and sold about six acres of the land lying between the castle and New South Head Road. Shortly afterwards, the remainder was acquired by Mr. William Buckingham, a director of the well known Oxford Street store, Buckingham's Ltd.
the way when the Petrov affair blew up and wrecked the project. The British airline, B.O.A.C., then decided to buy it as their Sydney headquarters but the sudden failure of their early Comet aircraft forced a radical change of plans. While all this was going on a charitable order of the Roman Catholic Church had been toying with the idea of buying the building but had not been able to reach a decision. Then, towards the end of 1954, Mr. Bruce H. Jackson was driving along New South Head Road when he saw a notice offering secondhand shop fittings for sale. Mr. Jackson, who was a builder, did not want shop fittings, secondhand or otherwise, but he had a friend who did. Following the directions on the notice he found the fittings stored in the now slightly depressing old building, Fernleigh Castle. "l had one look at the castle," said Mr. Jackson, "and was captivated. I realised that under the thin veneer was a magnificent building and I just had to own it. "l went looking for Bill Buckingham and found him in the street. The next day Tuesday, I made an offer, on Wednesday I paid the deposit, and on Friday we clinched the deal by changing contracts. That day I drove home on air, literally and metaphorically. "Next morning I went to our castle (my wife was part-owner) and was met by a puzzling sight. Some twenty or more ladies were cleaning the building inside and out. Their dress and their manner showed that they were not professional cleaners so I concluded that they were local residents, so pleased that the castle had been saved from demolition or decay that, as a gesture of appreciation to me, they had decided to restore Fernleigh to its former glory as quickly as possible. "This rather fanciful conclusion quickly evaporated when I found the leader of the working party and asked why they were cleaning the building. 'Because we've bought it' she replied. And that was so. By a strange coincidence the church, after considering the proposition for quite a long time, had decided to buy the building on the very day I had exchanged contracts." For eight years Mr. Jackson conducted Fernleigh as a private hotel and all the time he worked on its restoration and modification. 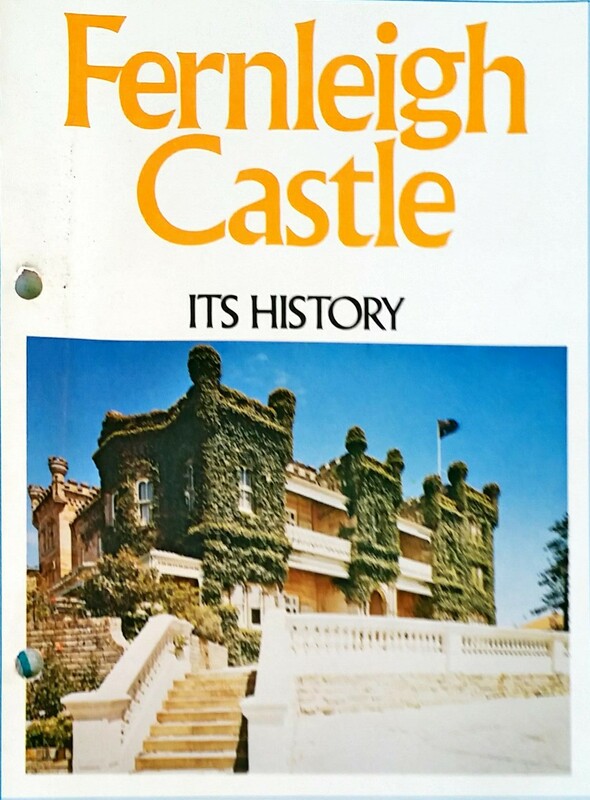 In short, the scars left by Fernleigh's lean years were removed by the pride and the care and the artistry of Fernleigh's owner who, fortunately, was a builder too. 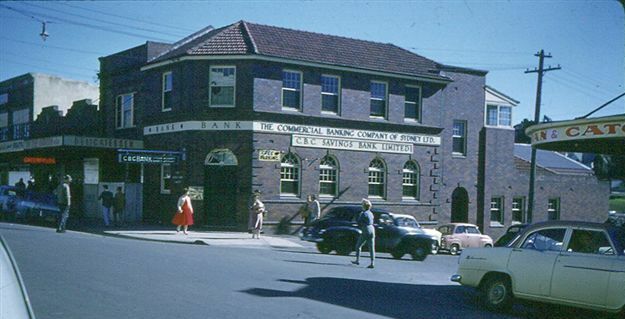 In February 11 1966, this beautiful old building, fully furnished and restored, became the property of an old and distinguished Australian, The Commercial Banking Company of Sydney Limited. It is eminently proper that this gracious building should have been the home of distinguished guests and the visitors' book is rich in names of interesting people—Laurence Olivier, Vivian Leigh, Robert Helpmann, Edith Sitwell, the Ambassador of Spain. 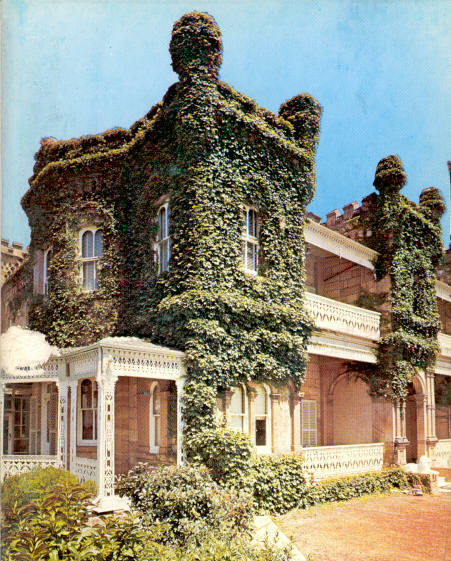 For two years it was the home of Dame Nellie Melba. "On a quiet night, if you listen closely to the walls, you can hear the tingling magic of a High C and feel the haunting presence of the great Melba." Our CBC members would have fond memories of the early mornings raising the Australian Flag atop its magnificent towers. 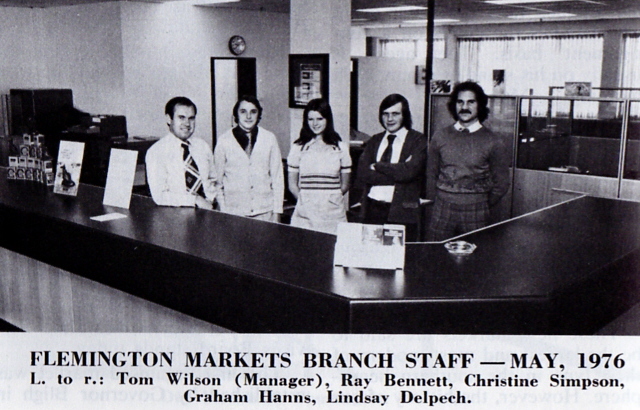 1981 photo of the Staff at 94 Great North Road Five Dock supplied by Phil Pitkin who was there from 1979 to 1983. He served under 3 Managers there. 1st one was Roy Granville Young. 2nd one was Fred Murphy who resigned there and 3rd one was Jim R Juillerat who also resigned there. 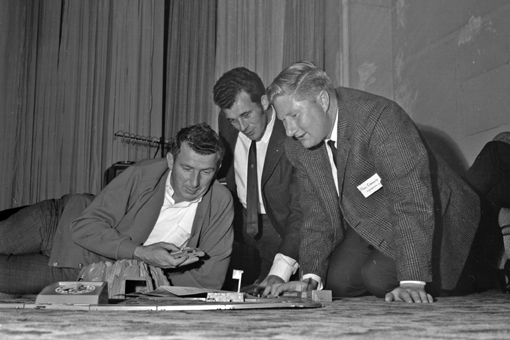 Jim also had a brother and I think he was manager at Trangie. Back Vince Carbonaro, Rodney Harris (Accountant) Phil Pitkin (Security Clerk) and unfortunately I dont know the young lady with the red hair. 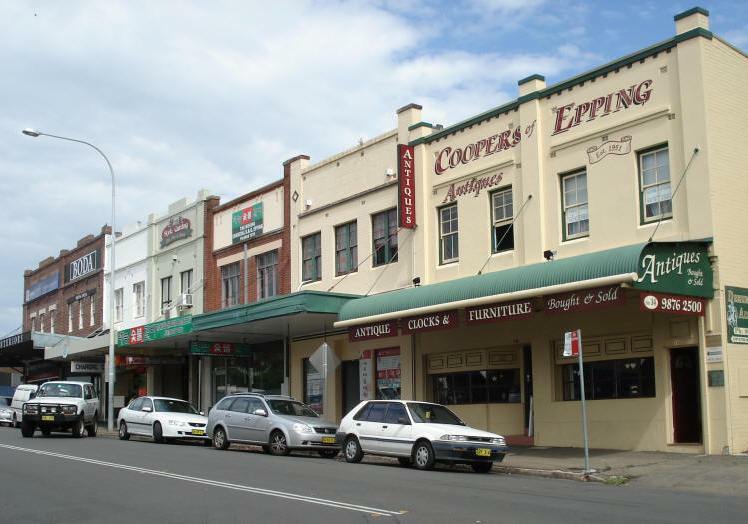 We were in the 2 Storey building and we used the ground floor and the bank leased the 1st floor to Trane NSW Sales. 1980s Purchased by Canada Bay Council after CBC moved to No. 90, but condition had deteriorated in the meantime. 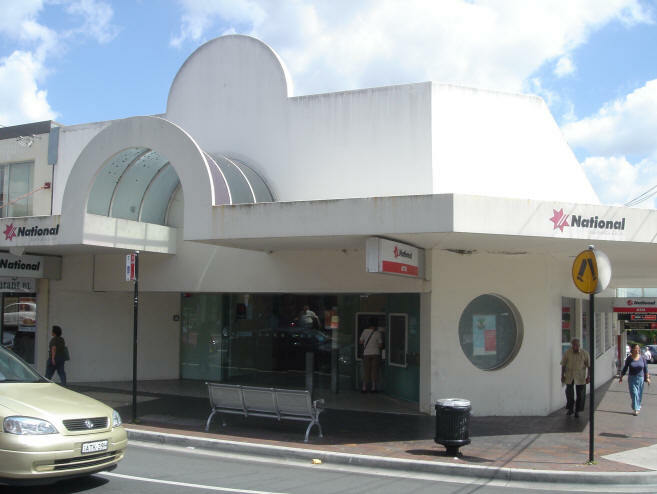 John Beer says: "Around 1970s CBC relocated to about 90 Great North Road and sold original CBC building to Council. 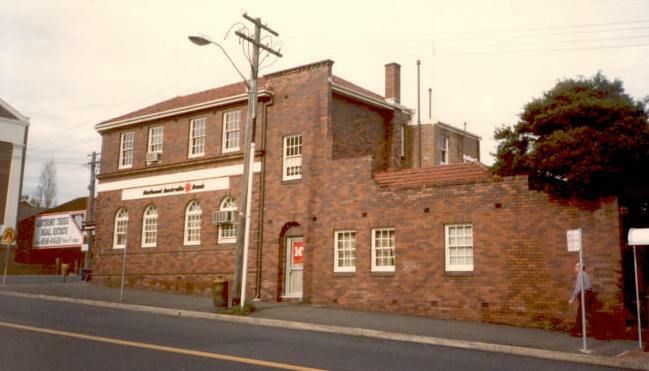 94 Great North Road building then went into considerable disrepair until NAB relocated to it after unifying with 85 Great North Road’s ex-NBA branch. 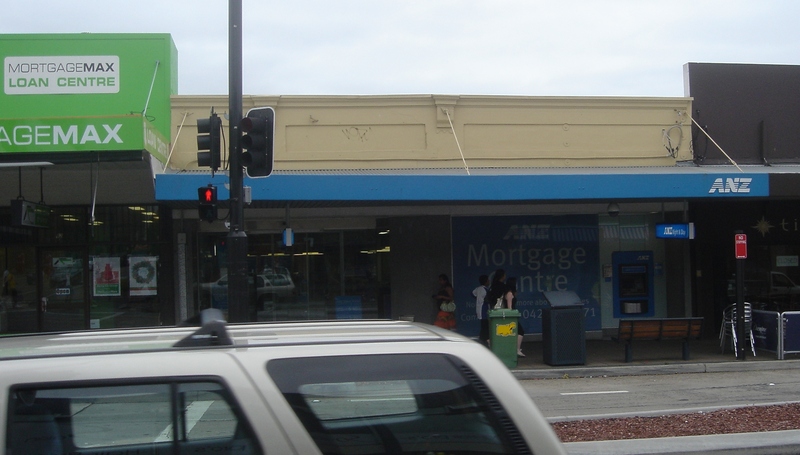 94 Great North Road is where NAB branch is currently situated. Quite an imposing heritage building"
2000s NAB consolidated both CBC and NBA branches back to 94 after using 85 Great North Road in the interim. 2007 January photos of No. 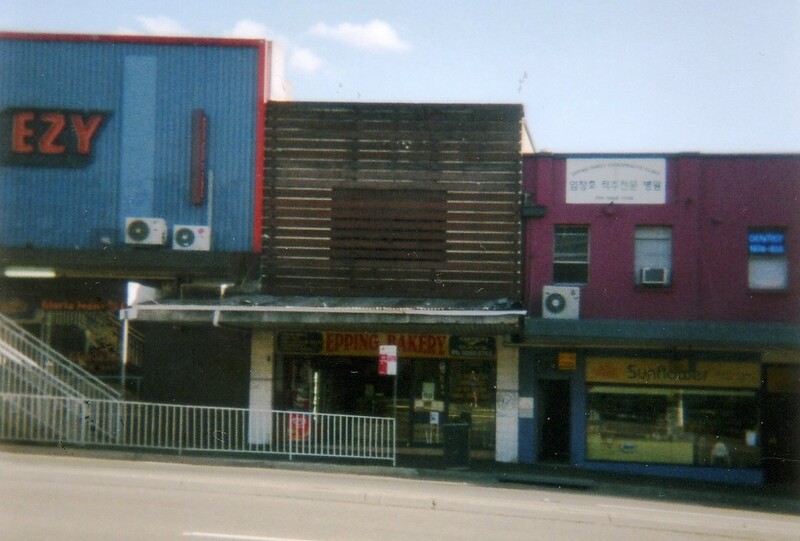 90 (now ANZ) and car park at rear of 94 by John Beer who says: "It seems that the building was gutted just leaving the front U portion that is now painted in a dark colour. New brick portion at rear enables a large open banking chamber within." 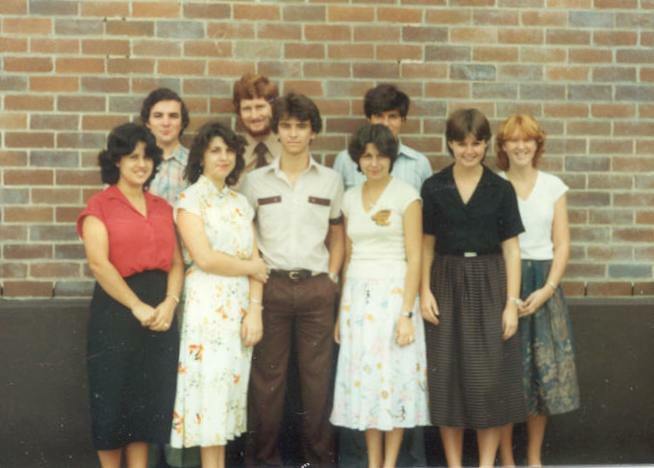 Photos from Current Accounts July 1976. 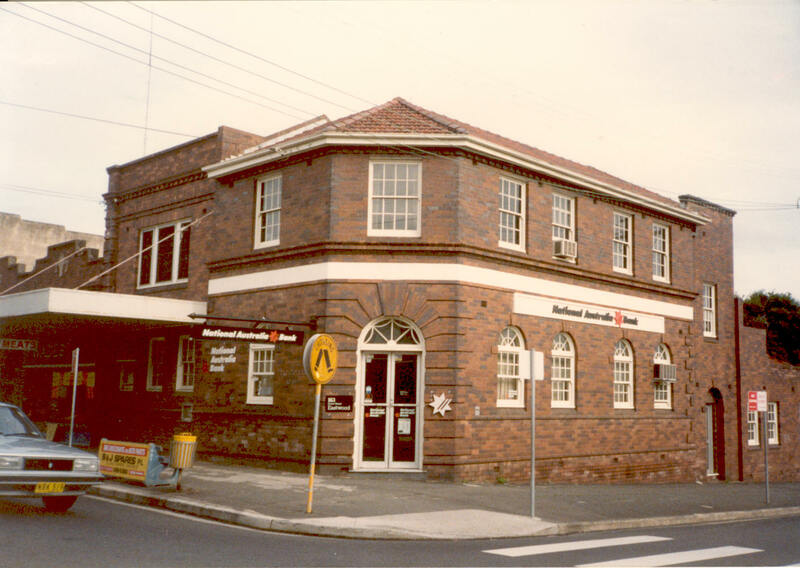 French's Forest receiving office of Dee Why 1975 Listed in Annual Report.